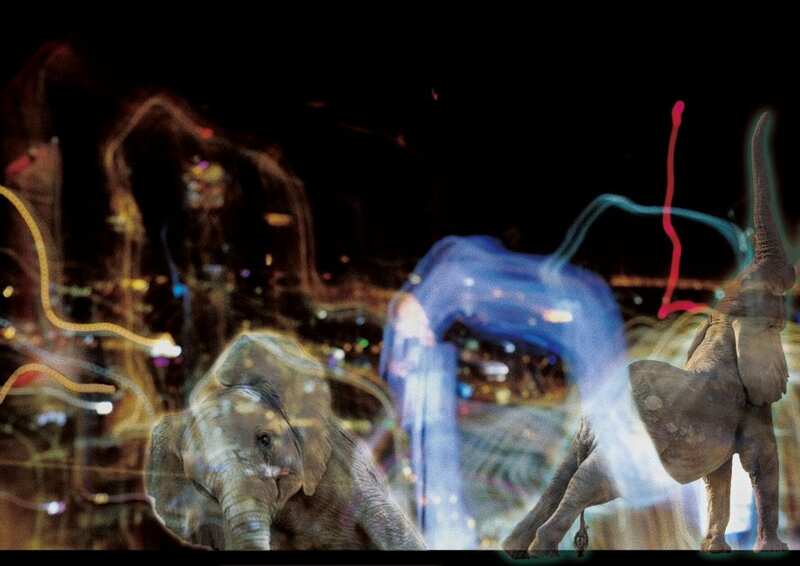 “The Disco Elephants” was a modified photography I created as my time capsule project. 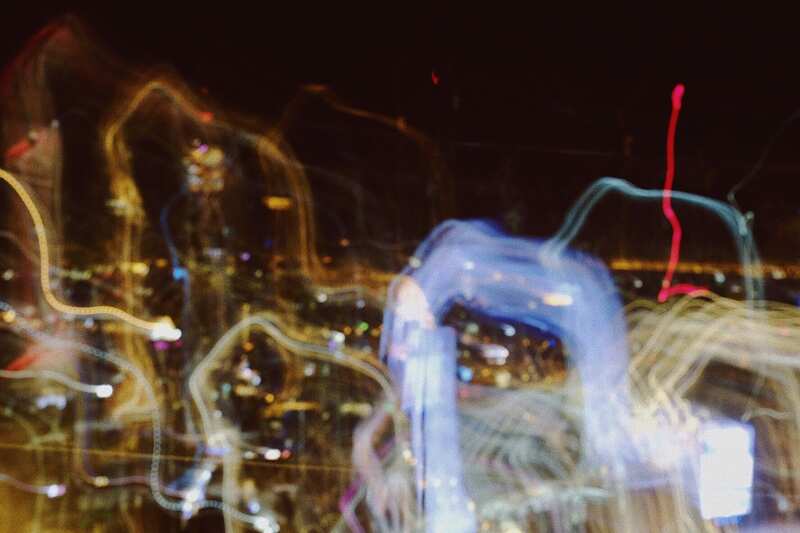 I was inspired and believed in the idea that photos capture the time fragments and save it as a visual capsule. So there is no specific plot in the piece but the dramatic life trait of a flashing moment that human’s vision cannot catch in time. The reason I chose 2D form to express this is that of the exclusion to viewers’ experience. If a picture is the life of 0.1 second，how can human‘s eye see and analyze the story of 0.1 second. The five senses are away distracting each other, so a still picture that has no sound or movement somehow invites the viewers to concentrate on the limited content with their imagination. I also appreciate the contingency in photography. 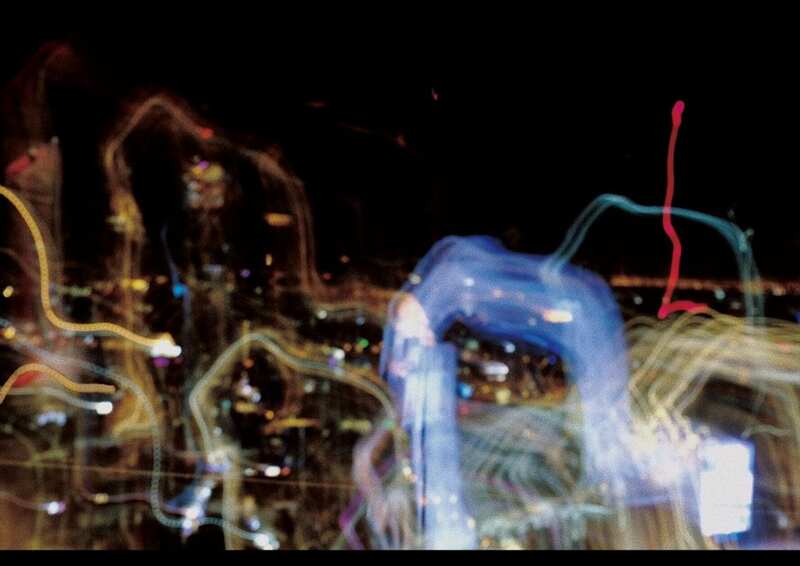 Although the work itself was just an image of blending light of Manhattan’s night view. This is the only image that I took at the moment that has such an abstract but vivid trait of life in it.